Prof. Bernard Suen has worked in the ICT and Creative industries for over thirty years with domestic, PRC, and international consulting and management experiences. In 2010, he co-founded InTechnigence Limited, a Hong Kong based digital consultancy and solution company, providing services to clients in digital transformation and innovation. Currently, he is also a Project Director of CUHK Centre for Entrepreneurship, where he conducts researches and training in design thinking, data and interaction design, and innovation and entrepreneurship. In the past, Prof. Suen had worked in management and executive positions with Ernst & Young Kenneth Leventhal Real Estate Group, Emperor Group, Panorama Distribution Limited, Lovable Products (Hong Kong) Limited, yU+Co, and SharpMotion Enterprises Limited, where he was responsible for ICT and new media strategy and solution development and operations. 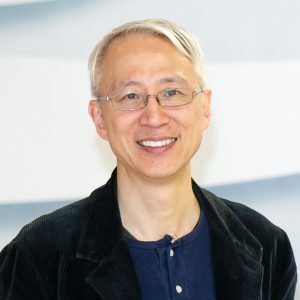 Prof. Suen is also the author of the Eight Lessons in Entrepreneurship for Design and Creative Business (2013) published by ET Press and co-author of the The Heart’s Way — Design with Empathy Through Creative Thinking (2014) published by the Hong Kong Design Institute.